The natural minor scale (also the 6th mode of the major scale, Aeolian) is a very commonly used minor scale on guitar. There are a number of reasons for this, and it's therefore an important scale to understand. Rather than just throw scale patterns at you (like many guitar sites out there) I'll provide you with some essential minor scale theory and backing tracks to help you explore this scale's unique flavour. You'll then be ready to apply the scale across the entire fretboard in a fluid and musical way. First, let's look at the root position box pattern and analyse what makes up the natural minor scale. The presence of the flat 3rd (b3), also known as the minor 3rd, tells us it's a minor scale (ok, and the name "natural minor scale" is a bit of a giveaway!). 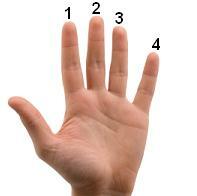 The minor triad is made up of the root (1), minor 3rd and 5th. The other tones in natural minor can be seen as "coloring", giving this particular minor scale its unique sound. We'll look at how these other tones interact with chords later. We'll expand out of these boxes in another lesson. First, we need to understand a little theory behind the natural minor scale and how to use it over chords and chord progressions. As we established before, the natural minor scale is a... minor scale! Therefore it will be compatible with minor chords. However, it's often not that simple, as you'll be most likely playing over a sequence of chords, so you need to be able to identify natural minor chord progressions. In that example, E minor is clearly our tonic chord, so if we chose to play natural minor, we'd play the E natural minor scale. A lot of knowing whether the other chords in the progression will "fit" with the scale will become clearer with time, as your ear develops. The chord sequences in the backing tracks we'll be playing over later will be compatible in this way. The flat/minor 6th is most often used as a passing tone. These are tones you shouldn't emphasise as they will sound dissonant or too jarring on the tonic chord of a progression. Try to glance over them instead, as part of a larger phrase involving the other more stable tones from the scale (the most stable tones in the context of minor scales are those that make up the minor triad - the root, minor 3rd and 5th). So, make sure when you're learning a natural minor scale pattern that you learn where the flat 6th is situated (as well as the other tones!) so you can negotiate it properly over that root minor chord. When the chord changes from the tonic minor chord, you'll have to use your best judgement as to which tones from the scale will be compatible. Again, over time your ear will get better at picking out chord movements that will correspond with phrases from the scale. So, from what we've learned - the basic boxed patterns and using the flat 6th as a passing tone, have an experiment with natural minor over the backing tracks below. They are written specifically for this scale and use chord sequences that reside firmly within the key of A minor and F# minor respectively. One easy going, the other more rock/metal! There's also a drone track, which is just a minor chord with no changes, to help you explore the scale over a single chord. At this stage, the most important thing is you hear how each tone interacts with the chords, and especially the tonic minor chords of each sequence. Don't worry too much about elaborate lead guitar techniques at the moment - there's plenty of time to incorporate those! This lesson is all about hearing that "natural minor sound" in music. As we're using the box patterns (provided for you again below), it's simply a case of positioning the low root of the pattern at the right fret for the key you're playing in.